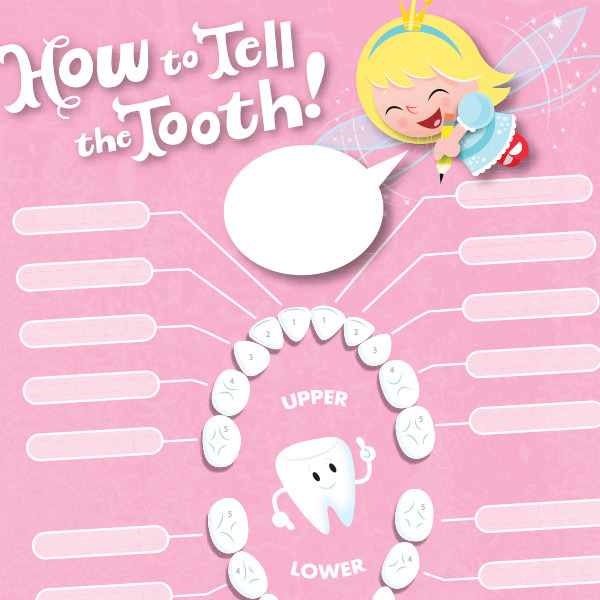 After you’ve slipped the Tooth Fairy a few dollars, print out our lost tooth chart to keep track of how that gap-toothed grin got its start. Long after the baby teeth are gone, you’ll have a smile-inducing keepsake your child will treasure. Mike Adair is an artist at Hallmark and co-creator of hoops&yoyo (he's the voice of hoops). He has assisted the Tooth Fairy on many missions with his own kids. When not flossing or brushing his teeth, Mike likes to draw funny pictures and create fun toys.